It’s no surprise that with all the wind at Kitty Hawk, that the Wright Brothers chose this spot. 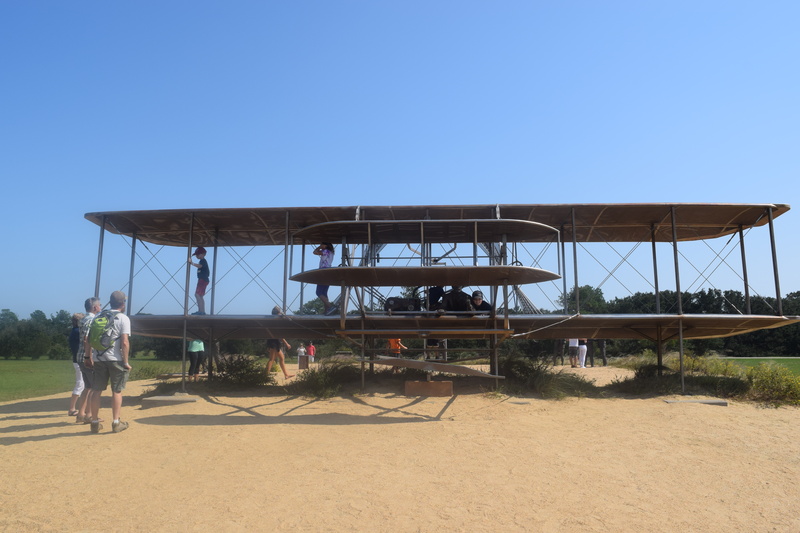 A must-see site while visiting the Outerbanks is the Wright Brothers National Monument. One thing that I love about the National Parks is that they offer amazing educational programs that both adults and children can enjoy. The Wright Brothers National Memorial is no exception. Upon entering the park, be sure to head to the visitor center first. This is where you’ll find the daily schedule of events and if you have a National Parks Passport, you can get it stamped there. If you have kids with you, this is also where you can pick up the Junior Ranger booklet for them to work through on their visit. We arrived just in time to catch the presentation that’s done by the park ranger. She was such an awesome speaker and delivered a fun and interactive presentation. Both the boys (ages 10 & 6) hung on her every word. There are a few different areas that you can visit once you arrive at the Wright Brothers National Memorial. Currently the bigger visitor center is under construction, so most of the activities have to be done outdoors. They do have the visitor center inside a smaller building for the time being, but there isn’t the museum area at this time. I do want to mention that while the visitor center is currently under renovation, this in no way takes away from the experience. This is one of the first sites you come upon when visiting the Wright Brothers National Memorial. These buildings give you a chance to see what life was life for the Wright brothers during their stay at Kitty Hawk. Once you pass the camp buildings, you come up to the flight line. The first thing you reach is the stone plaque, dedicated to the Wright brothers in 1928. My six-year old thought it was very impressive that not only did Orville Wright stand at that plaque, but so did Amelia Earhart and Hiram Bingham. Once the ranger had finished speaking about all their accomplishments, he asked if he could hold the picture and stand where Amelia Earhart had stood. Right past the stone plaque you’ll find the markers that tells information of each of their flights. It was fun walking to each one of the markers and picturing how they felt with each flight accomplishment. For those that aren’t able to make the walk up the monument, you are able to drive to get a closer look. Once you’re at the base of the hill, there are ramps which make it handicap accessible. This was truly an amazing site to see. This interactive sculpture, donated by the State of North Carolina and dedicated during the 2003 Centennial of Flight celebration. This amazing life-sized sculpture created by Stephen S. Smith includes a replica of the flyers, the Wright brothers, and the Kill Devil Hills life-saving station that was there that day. It even includes John T. Daniels that took the famous photo of the first flight. The Wright Brothers National Memorial is open 9am-5pm seven days a week, year round. The only day that the park is closed is Christmas Day. Admission of $7 for adults and ages $15 and younger are admitted free. 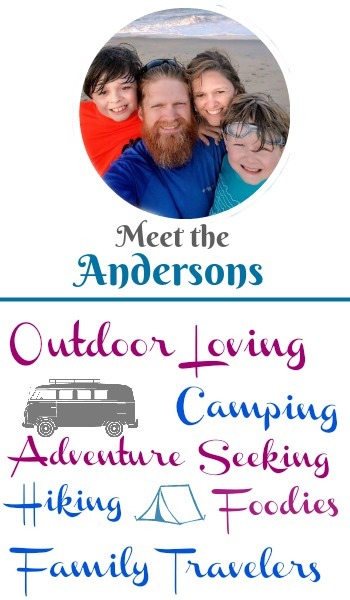 They do honor the Every Kid In the Park pass and the Federal Recreational Lands Pass.